Moscow, Russia, a truly grandiose city and compelling destination filled with fascinating monuments. The population of Moscow is over ten million, causing it to be the largest city in Europe. 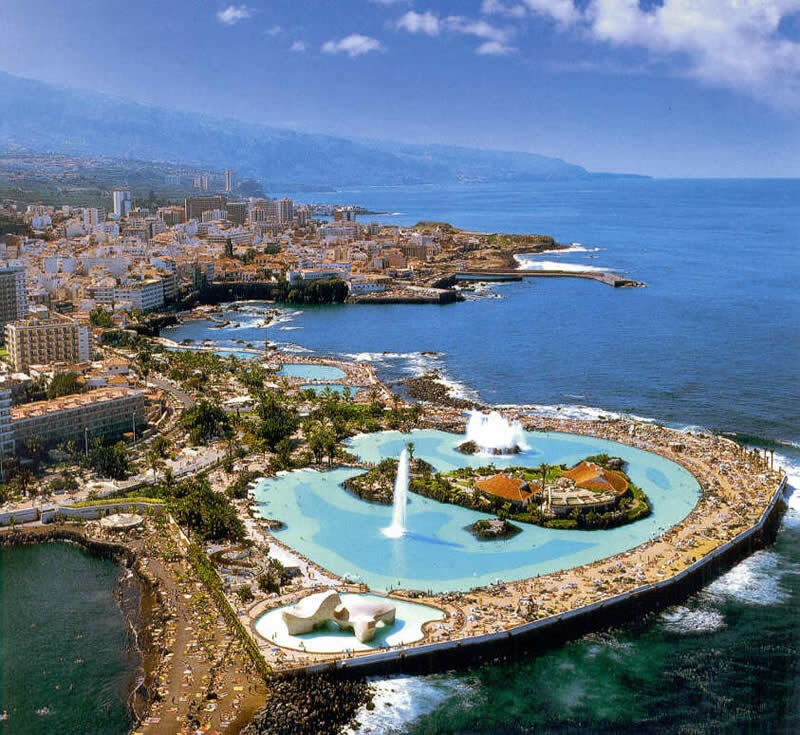 Its impact on world economy and political, social and cultural contributions to the world make it an Alpha City. Moscow Russia travel unveils wondrous sites to be discovered in an awesome atmosphere, which can only be admired for the magnitude of its greatness. 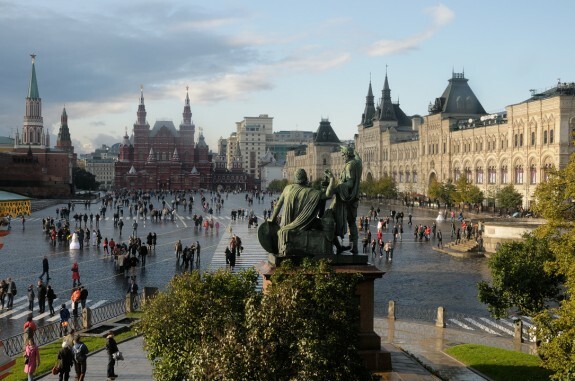 The acclaimed Red Square is probably the best starting point for sightseeing in Moscow. 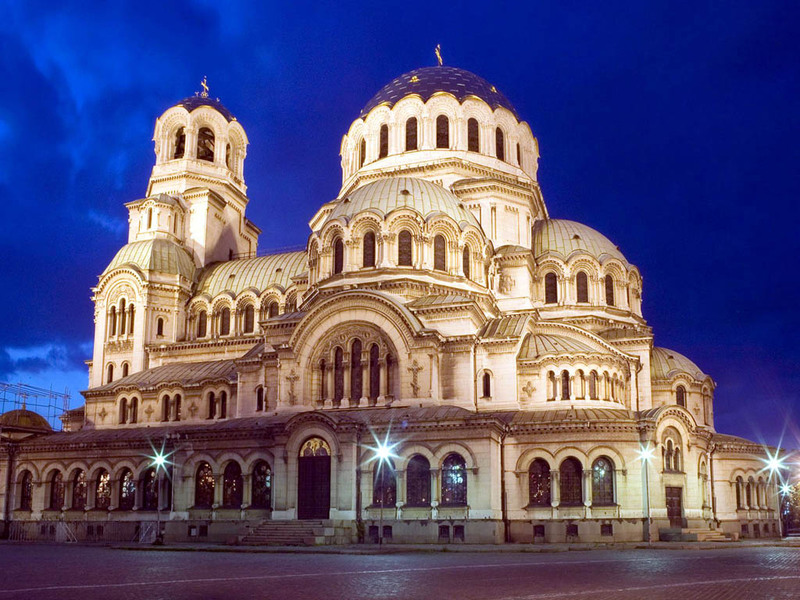 Phenomenal events have occurred in this immense square containing a multitude of famous monuments. The expansive façade of the GUM is an instant eye-catcher; this large department store has a style all its own, and resembles a palace more than a shopping center. Inside this glass-roofed building, there are luxurious shops with displays and extravagant arrangements of deluxe articles, enough to tantalize window shoppers of all kinds. Standing in the middle of the square, a simple look to the left or to the right reveals new enticing places to visit. The unique Saint Basil’s Cathedral is probably the most stunning sight of the square, founded in 1555 by Ivan IV. Nine thin towers are mounted with domes, each dome having a distinct shape and color; in the center of these enchanting towers is a larger and taller one with a spike on the end. It is said that they represent flames rising into the sky giving glory to God. 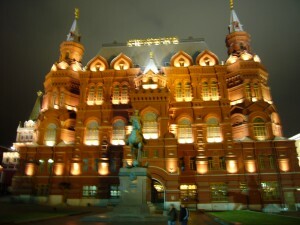 The State Historical Museum is another impressive monument in Moscow’s Red Square. This bright red vast building is sublimely decorated on the outside with just enough white to draw pleased looks from spectators. Inside the museum are fascinating Russian historical artifacts which number in the millions, relics from the past of inestimable value. Certainly a major factor to take into consideration when planning a visit to Moska (The Russian name for Moscow) is the dreaded weather. Moscow, Russia weather is not as horrid as it has a reputation of being. Any trips planned from May to September will be enjoyably hot. Although the winters are cold, extreme cold is rare and often overplayed. Generally the cold hits during the months of January and February when the temperatures go below zero. Choosing a vacation during this time could be somewhat of an adventure; discovering Moscow covered in snow might be fun, as making a toast with a good shot of Vodka in a lively bar after an icy walk might be amusing as well. Flights to Moscow Russia from London exist at £201 for a three week roundtrip ticket. The next step after arrival is to find a cozy hotel in Moscow Russia. The perfect budget accommodation is the Izmailovo Alfa Hotel with its 7500 rooms offering many different price ranges. Located 20 minutes away from the center by metro, rates start at $65. For a more prestigious hotel, luxurious and modern, chose the Swissotel Krasnye Holmy. This riverside hotel, situated in a shiny 34 level tall tower, offers luxury facilities with a view of all of Moscow. Prices start at $266. There is much that can be said about Moscow, and its limitless possibilities. Moscow of today is a thriving and constantly growing city, with skyscrapers and modern constructions which all reflect a certain national pride, often held by citizens of every nation. Yes, Russians too are proud, but once you have visited Moscow you will understand the right they have to be proud of their country.